"Things had been growing increasingly grim." The Strangely Beautiful Tale of Miss Percy Parker by Leanne Renee Hieber (Leisure Books, 2009). Just couldn’t get into Strangely Beautiful. Oh, Hieber’s style was generally pleasing and her use of language was, in places, as lyrical and pleasingly poetic as any Anne fangirl could want. Certainly, the story line was promising -- a group of mystic Guards of The Grand Work search for their promised seventh member while an ancient dark force looses its hound upon the poor of Victorian London. So what was my problem? Alexi Rychman was my problem. Every time Alexi glowered or stormed about with swirling robes, I saw Alan Rickman as Severus Snape. I don’t know if that’s what Heiber meant me to see, but I couldn’t stop seeing him and being annoyed. And so, dear readers, I gave up on The Strangely Beautiful Story of Miss Percy Parker. "Crocuses an' snowdrops an' daffydowndillys. Has tha' never seen them?" The Annotated Secret Garden by Frances Hodgson Burnett with annotations by Gretchen Holbrook Gerzina (W.W. Norton, 2007). I have owned several copies of The Secret Garden over the years, but my most beloved copy remains the Scholastic edition I bought with my allowance way back in elementary school. Every month, our teachers would hand out flimsy newsprint catalogs from Scholastic and those of us who were so minded (and had the dosh) could place orders. Not surprisingly, Scholastic made a tidy sum off me. Alas, my Secret Garden, wrinkled and dog-earred as it was, gave up the ghost a few years back. While I thought about replacing it, I never found another edition I liked as well ... until I saw that an annotated edition was available. I was totally chuffed. I had greatly enjoyed The Annotated Christmas Carol and The Annotated Hobbit so I expected good things of The Annotated Secret Garden. I was not wholly disappointed. The Annotated Secret Garden is beautifully put together and rather lavishly illustrated with both black-and-white and full color illustrations from many different editions. It makes, I have no doubt, for an attractive looking gift. Certainly, when I received my copy, I spent a good amount of time going "oh, how pretty" and stroking its cover. Alas, the text is not so attractive. I read annotated books out of a deep desire to know everything there is to know about the story behind (or within) the story. While The Secret Garden's annotations started off quite thickly and with lots of interesting insight (although, I dispute the annotation about Mary's first garden), they quickly petered out to random jottings of seemingly irrelevant factoids. I quickly became annoyed and the annotations began to detract from my pleasure of re-visiting an old friend. Grr. Still, it is a very pretty edition and Gerzina's introduction provides an excellent overview of Burnett's life. "Many a sudden change takes place on a spring day." Since Spring is a time of transformation, I have been playing around in Blogger In Draft with Blogger Template Designer and have "transformed" this blog's layout a wee bit by tweaking Tina Chen's Awesome Inc. template and creating a banner using one of my Library Loot photos edited in Picnik. There is, of course, some irony here. As I hate badges, awards, embedded music players, and most widgets veryvery much, I very seldom read blogs in their "native" state. No, I do ninety-nine percent of my blog reading through Google Reader -- which strips all the cutesy tweeness and clutter away to give me nice clean blocks of text. I don't even read my own blogs in all their native state. And yet I spent almost an hour prettifying this blog. In a bibliophile’s world, there’s nothing quite like picking up a book all your friends love to only find it makes you go “eh.” It can be so painfully awkward -- all your friends know you’re reading The Most Awesomest Book Ever and they’re expecting gushing comments from you and you … well, do you lie? Do you make polite vagaries such as “oh, I can see why you like it” or “well … I haven’t had time to really get in to it yet?" Or do you just come clean and admit your dislike? I have to admit that, unless I reallytrulyutterly hate the book, I usually weenie out and stick with vagaries. Cats were not, in her experience, an animal with much soul. Prosaic, practical little creatures as a general rule. It would suit her very well to be thought catlike. I enjoyed reading Soulless, but I did find it a little frustrating. 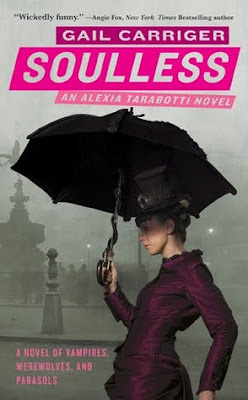 While Carriger writes with a great deal of humor and cleverness -- her steampunk supernatural Britain really is a hoot and some of her secondary characters are so interesting that they almost steal the show -- Soulless was irritatingly repetitive in parts. 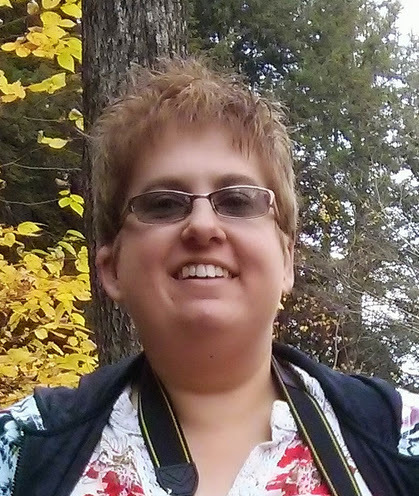 For example, I did not really need to be told umpty-ump times that Alexia was a soulless, half-Italian spinster endowed with both a large nose and a large bosom. Or, again and again and again, that Lord Akeldama was a superfabulasticly swishy vampire. Alexia vs The Old Ones. Now, that might be an awesome fanfic. Soulless: Parasol Protectorate, Book One by Gail Carriger (Orbit, 2009). While rummaging around in the freezer, I found two pints of blueberries and thought "muffins!" 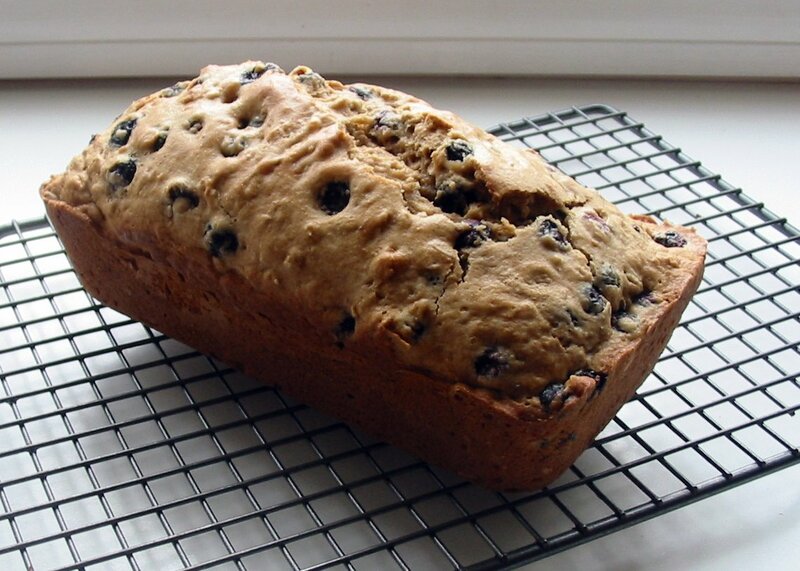 and then I thought "blueberry banana bread!," but my frozen bananas were a bit too fossilized even for banana bread so I made Betty Crocker's "Blueberry Oatmeal Bread," instead. I substituted King Arthur Flour's whole grain white for the all-purpose flour and didn't notice any weirdness -- the bread was nice and moist with good texture. Overall, a very simple, very tasty recipe. Repeatable. So many white clouds--and the blue of the sky is cold. "Sure, and everyone is Irish ..."
Is the symbol of the way. It may not be your dream, Stepsister, but do not scoff at those who do dream of it. 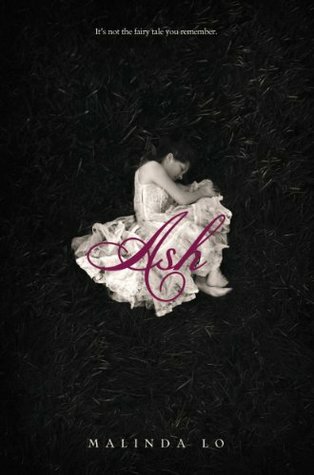 After losing her mother and father, Ash becomes a servant in her stepmother’s home and is cruelly used. Seeing no future for herself and still rather desperately mourning her mother, Ash becomes entangled in the fairy realm … where it seems almost inevitable she should meet a fey who will tempt her to stay with him by promising to take away her sadness. And you think you know how the rest of the story goes now, don’t you? Well, you’d be wrong! Hah. Loved this novel. Thought it was scrumptious. Yummy. Poignant. Bittersweet. A lovely twist on Cinderalla and I am totally chuffed to find there is a sequel of sorts in the works -- Huntress, a companion novel, will be published in Spring 2011. Squee! Then they took the last step together, and when she kissed her, her mouth as warm as summer, the taste of her sweet and clear, she knew, at last, that she was home. "Once upon a time, there was a little wallaby ..."
Ice by Sarah Beth Durst (Simon & Schuster, 2009). Having adored other retellings of “East o' the Sun and West o' the Moon” and “Eros and Psyche,” I really expected to love Ice. Unfortunately, I found it a rather frustrating read -- I admit I am no romantic, but Cassie seemed to fall too easily in love with Bear and some of the choices Bear made for Cassie really unsettled me. I think the part I like best was the middle stretch where Cassie wandered the world, trying to save Bear – and that is the part all other reviewers seem to complain about! That section was harrowing and gritty in the way I expect a good quest tale to be, while the first part (with its ice roses and magic tables) was too gooey and sweet. I just prefer Grimm to Disney, I guess! 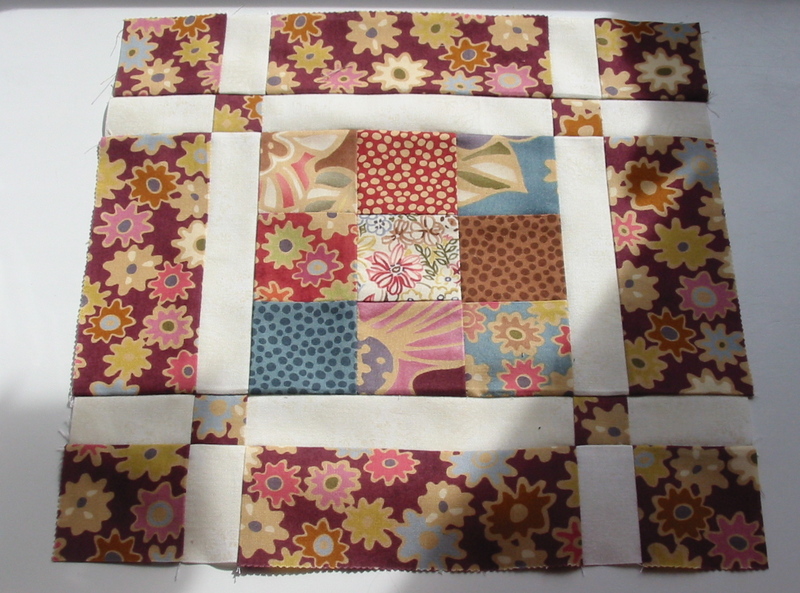 Finished my first block for Moose on the Porch Quilts's Jelly Roll Sampler Quilt-Along. I started this block in a terriblenogoodrotten mood and was pretty sure I hated the jelly roll I had chosen, but by the time I got to the end of this block, everything was pure happiness and bliss. Hmm ... quilting as therapy? Used a "9" by Sanae for Moda jelly roll for the body and Fusions 5573 by Robert Kaufman in vanilla for the background. He said there was a great deal of nonsense in such books, and that the moral tone was sadly lacking. Arabella, the eldest daughter of an impoverished country vicar, is on her way to London to make her debut (and secure a good marriage which will guarantee comfortable futures for her younger siblings) under the auspices of her godmother when her carriage breaks down in the rain. Forced to take shelter at nearby estate, she is treated very coldly by its owner -- that most sought-after of bachelors, Robert Beaumaris. 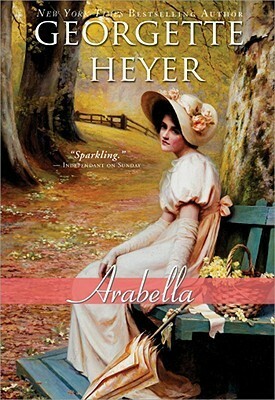 Outraged by his presumption that she is just another conniving miss out to trap him into marriage, Arabella sets herself up as an heiress without peer. Arabella has quite a lot of fun telling whoppers about herself … until she arrives in London and it becomes clear that her lies have arrived ahead of her! Unsurprising, I really enjoyed Arabella. The characters were well defined, the story chugged along at a good pace with lots of witty dialogue, and Heyer’s use of historical setting and detail is always delicious. Ulysses lolled his tongue out, and grinned cheerfully.